Watching the Falcon Heavy take off put me in mind of a classic science fiction movie of the 50s. SpaceX’s Falcon Heavy rocket lifted off on its maiden flight from Cape Canaveral, Florida. It is the world's biggest rocket. SpaceX CEO Elon Musk even stored a red Tesla Roadster in the payload. — but only the start of international cooperation. That’s where you can call me a “skeptic”. Time’s definitely up for fossil fuels. We could have started the transformation to renewable energy sources some 30 years ago. But thanks to the fossil fuel industry and their intensive misinformation campaigns – which are still going on – we have missed that chance. BTW, Peter. Many thanks for all your hard work, your donation of your time and probably your money. The US and A should be very proud of you. And of course – as everybody can see – Exxon is lying though their teeth again. Is it an electric rocket with a battery backup (I’m not a rocket scientist so not knowledgeable about rockets) ? Sure. The rocket is driven by three AAA batteries. It’s just magic, grindupbaker. The Delta-IV heavy uses hydrogen and oxygen as fuel, producing water. It could potentially be fuelled from renewable sources. However as a launcher it is astronomically expensive – it only ever get used for government missions, and will probably lose even those to Falcon Heavy over time. The next SpaceX launcher (BFR) will use methane, as will Blue Glenn, which could potentially be produced from hydrogen. Back in the day, I had the pleasure to watch live launches of Apollo 14, 15, 16 and 17. During my first visit to Titusville I met a NASA employee working at KSC who was able to get me VIP tickets to watch the launch of Apollo 15 from the viewing area beside the VAB (Vehicle Assembly Building) which the closest distance allowed by anyone. 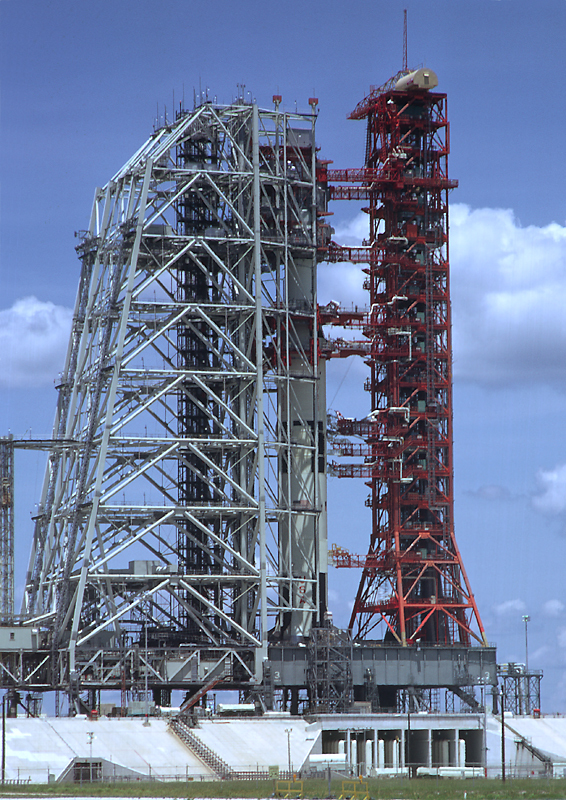 All those launches were done by Saturn 5 which had a rated thrust of 6.5 million pounds spread across 5 engines. On the flip side, the official trust rating of “Falcon Heavy” is 5.1 million pounds spread across 27 engines. While SpaceX has not yet caught up to Wernher Von Braun design, I am glad Elon Musk has similar passions to the rest of us. As dramatic as the amazing blast-off caper was, one clue to the depth of thought involved was the soundtrack selected… Bowie. But, let’s see, if you’re really gonna’ launch an Earthly dummy-ambassador into an eternal trajectory, and you can only loop one audio track as an inaudible terrestrial relic …I dunno’, something isn’t right. How about ANYTHING ever recorded by Nina Simone, or ‘Ascension’ by Coltrane , or ‘Crossroads’ by Robert Johnson ? O.K. …that’s getting a little too serious , I know. One helluva’ terrific old-fashioned ‘Auto -Show’ style exhibition though … even barely cloaked as it was in glittery , Cape Canaveral drag, techno-costume ! The point of the selection was Bowie’s “Life on Mars”, a personal goal of Musk. That song was also the centerpiece of popular TV series (BBC and US version). Yup. But there is a crucial diff… Bowie wrote lyrically about a fantasy for a pop song. Musk is foolishly serious about the fantasy of ‘living on Mars ‘. Sort of a 1930’s – 1950’s vintage fantasy. Entertaining for kids of all ages, whatever the century. Has anyone thought about the waste of sending a $100,000 car off into space (to say nothing of the $$$ spent to construct the structure that held it, the cameras to take its picture, transmit the pic back to earth, etc). How many hungry kids could have been fed instead with that $$$? Part of the Musk circus—keep the masses entertained and mesmerized with visions of MARS—-while we do little or nothing to deal with the oncoming catastrophic rise in global temperatures. This was a maiden flight with a dummy payload. No waste here. Musk has a sense of humor as well as a marketing flair. And he is one of the least culpable people on the planet wrt not doing something about AGW. What I do not understand is the flamethrower thing – is that a joke? That was an actual Tesla roadster that got sent into space—-all the labor and materials that went into building it are now lost. The car could have been auctioned off and the money used to feed hungry kids or save the whales. A symbolic cardboard cutout would have been just as attention getting and a lot cheaper. What flamethrower thing are you talking about? Agree. Bread and Circuses. Unless its stated purpose is somehow part of developing cost-effective hydrogen-fuelled rocketry. That has merit. I don’t see how it could be though. You are begrudging Musk his own personal original roadster ?!? LOL! It is old. And it is his. And he got a zillion bucks worth of free advertising out of it. Not to mention the scientific test value. Sorry – calling you incredibly grumpy about this. It’s the Mars aspect that’s got you shouting at the kids from your porch. I mean – it burns fossil fuels for no good reason whatsoever, right? At least rolling-coal’ers in their pickups are going from point A to point B. Yes, any good Musk does is IMO blotted out by his Mars foolishness and the distraction it represents, and you and the other Musk-loving kids had better get off my lawn or I’ll show you “grumpy” and do more than shout from the porch. The flamethrower(which appears to be real) is a SICK joke, and the caps and the “Boring machine” are just more evidences of Musk’s lack of seriousness and self-promotion. He wants to drill tunnels all over the place to speed up commuting? JFC, but that’s crazy. The very hi tech dummy in the SpaceX space suit is actually performing a “live test” through the earths magnetic field etc and whilst en route , that will be beaming data back for years. The car is just a fancy package and PR for a lot of instruments and test gear – it is not “naked” – travelling as part of a frame with camera’s and sensors and more than likely thrusters. I suspect Elon Musk watched Thunderbirds as a kid. He has a way to go but has made a good start towards matching them.